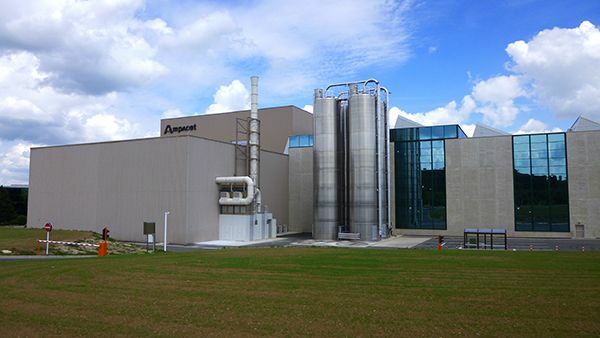 The two new colour production lines, slated for start-up in the second quarter of 2019, are part of Ampacet’s long-term expansion plan. Both lines were engineered with a focus on safety and ergonomics. Energy and water systems have been designed to produce minimal environmental impact. One of the two lines will be dedicated to the production of engineering polymers to better respond to market trends and customer needs. Both lines will further reduce lead times and increase flexibility for delivery of polyolen-based colour masterbatches. “Our focus is to provide high quality services and innovative solutions to our customers while reducing our impact on the environment. The new lines are designed to support this goal,” said Marcello Bergamo, Managing Director Ampacet Europe. The company also has completed expansion of its European Research and Development centre in Dudelange, Luxembourg, nearly doubling the size of the lab. Investments include a new injection moulding machine and a blow moulding machine that will speed colour matching services. Ampacet has installed the latest generation, single-stage full electric PET machine (ISBM machine). It produces a preform and a bottle in a single step, for significant time savings, increased colour service speed and improved onsite colour matching services. It also enables highly precise carriage movements, for an excellent product finish as well as mould interchangeability, for increased flexibility and nearly unlimited possibilities. Ampacet also has acquired the newest xenon arc-based weathering device which closely reproduces actual solar radiation. This machine, used to accelerate the ageing process of masterbatches, represents an indispensable tool in new product development and quality control. This innovative new machine is equipped with a water recycling system that will save more than 800L of water (used to reproduce the effects of rainfall) per day.